From Crazy Horse to Custer and Deadwood to Devils Tower, the West is a colorful storybook spilling over with strong personalities, charming small towns, and profoundly historic landscapes. Discover some new chapters and write your own footnotes on this fun and engaging exploration. The journey begins in Rapid City, then winds its way to the beautiful, pine-forested Black Hills of South Dakota. On the way to the heart of Custer State Park, we visit the area’s iconic masterpieces, Mount Rushmore and Crazy Horse Memorial. 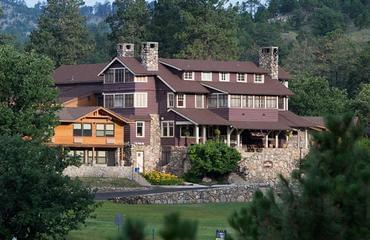 From our lodge, we’re poised to enjoy the park’s lakes, spires, wildlife, and trails. Next up – Wyoming! On our way to our historic hotel in Buffalo, we stop to marvel at the sacred, 1,267-foot-tall Devils Tower and take a walk around the base of this Lakota sacred site. Bye bye Wyoming – Hello Montana! We cross the state line and visit the Little Bighorn Battlefield, spending time with a Crow guide who shares the Native American perspective. The day ends at a downtown boutique hotel in the mountain town of Red Lodge, with a night to enjoy the charming town on our own. In the morning, we travel over the amazing Beartooth Pass, winding its way to the “Top of the World,” then dropping down into Yellowstone National Park. Our last nights are spent in Yellowstone, with opportunities to view incredible wildlife, bubbling mudpots, steamy geysers, and colorful hot pools. After a full day of “Yellowstone,” we enjoy a farewell dinner. We make our way to Bozeman the following morning for flights home. Active fun and discovery: Stay busy and active but not hurried or harried on hikes and walks in some of the West’s most storied locations. 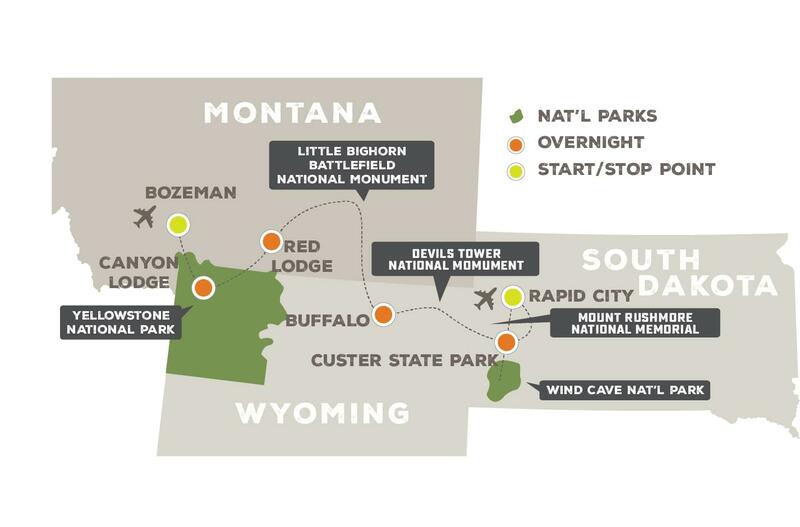 Treasured landmarks: Visit Mount Rushmore, the Crazy Horse Memorial, Devils Tower, Custer State Park, the Little Bighorn, and Yellowstone National Park. Wildlife: There could be wildlife at any turn. Watch for bison, pronghorn, bighorn sheep, wild turkeys, bears, wolves, moose, elk, and much more. Fresh air and mountain scenery: Lots of time in the great, oh-so-beautiful outdoors is good medicine for all ages! Outdoors for 6-8 hours each day, and elevations ranging from 3,500 to 10,000 feet (at the top of Beartooth Pass), and most time spent between 4,500 and 7,795 feet. Activities include walking on most days on boardwalks and trails, ranging from 1 to 3 miles. We meet Mount Rushmore face-to-face this morning, and seventeen miles from there, pay homage to Native American history at the Crazy Horse Memorial. Our guide takes a unique approach to both monuments, setting the context, capturing the history, and connecting us to the surprisingly solitary landscape surrounding these otherwise bustling national landmarks. From there it’s on to Custer State Park, a 71,000-acre wildlife reserve, with terrific hiking terrain. Chances of seeing wildlife while we’re out and about are excellent. After our first picturesque day, we celebrate with a welcome dinner at the historic State Game Lodge, where we’re staying. Take most of the day to hike and watch wildlife in this picturesque park, where granite peaks spire up from an evergreen forest graced with streams and lakes. Perhaps we’ll walk the banks of French Creek, where Custer’s expedition first discovered gold in 1874, or visit the prairie dog town where the black-tailed prairie dogs scurry around feeding, grooming, and “barking.” If there’s time this afternoon, we’ll explore Wind Cave National Park or maybe Jewel Cave National Park. In any case, we’ll be back at the State Game Lodge this evening in time to relax and enjoy dinner. We head to the Big Horn Mountains, stopping en route at Devils Tower. This is a sacred site to the Lakota and other tribes, who called it Bear Lodge or Buffalo Horn. We’ll walk around the formation on a 1.3-mile paved trail, marveling at nature’s own monument. After our walk we continue tracing the route many pioneers followed during the days of western settlement. Next stop Buffalo, Wyoming. We arrive in time to settle into our historic lodgings and enjoy the quaintness and order of this charming Northern Rockies town. A modern-day Crow Indian scout joins us today as we stalk the path of General George Armstrong Custer. Our storyteller-guide brings history to life through stories and the Native American perspective of events during that turbulent time period. At the site of Sitting Bull’s camp we’re treated to a colorful recounting of the history that unfolded on this very spot. Leaving this dramatic setting behind, we end the day at another striking location, historic Red Lodge, Montana, at the base of the Beartooth Mountains. We hit another high today driving up and over the famed Beartooth Pass. This steep, breathtaking road is the “back way” into Yellowstone National Park. We have wonderful opportunities for wildlife-viewing along the way, and also take time for some short sightseeing walks. The day ends at Yellowstone Lake, a vast body of water situated at 7,732 feet above sea level. Today is packed with extraordinary sights and experiences in the world’s first national park. We follow the “Grand Loop” to see the parks’ iconic features even while our guide steers us off the beaten path, away from the crowds, to see some of the park’s hidden treasures. 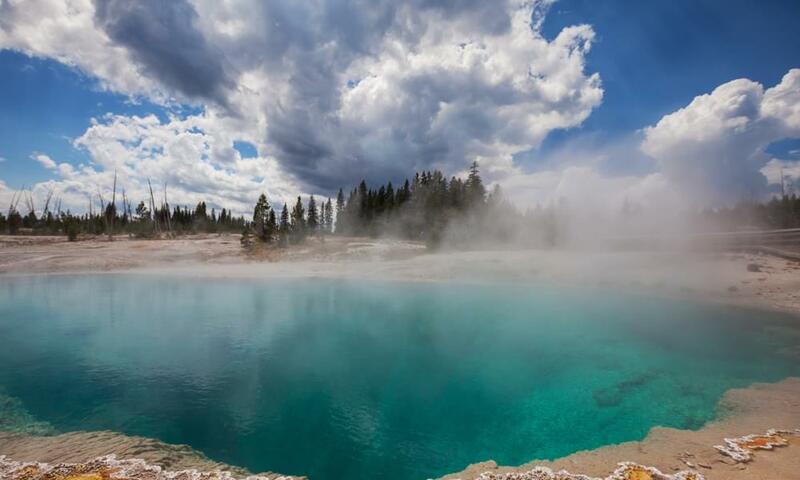 The park's geyser basins hold the most extensive concentration of geysers in the world (at least 30 named geysers, including Old Faithful), along with colorful hot springs and steaming fumaroles. Tonight we toast a fantastic trip at our farewell dinner. Savoring the morning light and a bite of breakfast, we're off early to Bozeman, soaking up the last leg of our unforgettable Western road trip! You'll arrive at the airport in time for afternoon flights home. The State Game Lodge is a gracious native stone and wood lodge built in 1920 and listed on the National Register of Historic Places. It served as the 'Summer White House' for President Calvin Coolidge in 1927 and was visited by President Dwight D. Eisenhower in 1953. The Grace Coolidge Creek still winds serenely through the valley today. It is in the heart of a scenic byway with wildlife abounding! Recognized as one of the best hotels in the west, the Occidental provides an experience unlike any other. From the moment you arrive, you get the sense that you have traveled back in time 135 years. Throughout the hotel you can sense history, and imagine the famous guests who've stayed here, like Butch Cassidy, Calamity Jane, and Buffalo Bill. 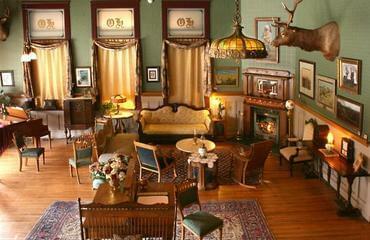 All rooms and suites are furnished with antiques and designed in the style of 1880, while still offering modern comforts. 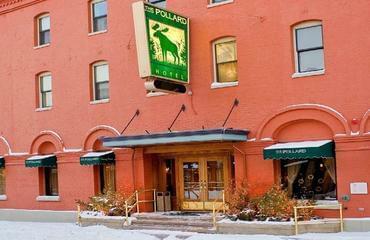 The Pollard is a historic hotel located in the former mining town of Red Lodge, Montana. The hotel that served Buffalo Bill Cody, Calamity Jane and other western legends reopened in 1994 after a complete restoration. Since then its old-fashioned comfort, modern conveniences, and attentive staff have earned wide recognition and many awards. Listed on the National Register of Historic Places, this grand railroad hotel captures 1920s style, with a sunroom, expansive front porch with rocking chairs, and beautiful lake views. 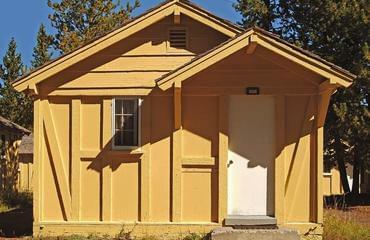 The cabins are cozy and quiet and most importantly, conveniently located.